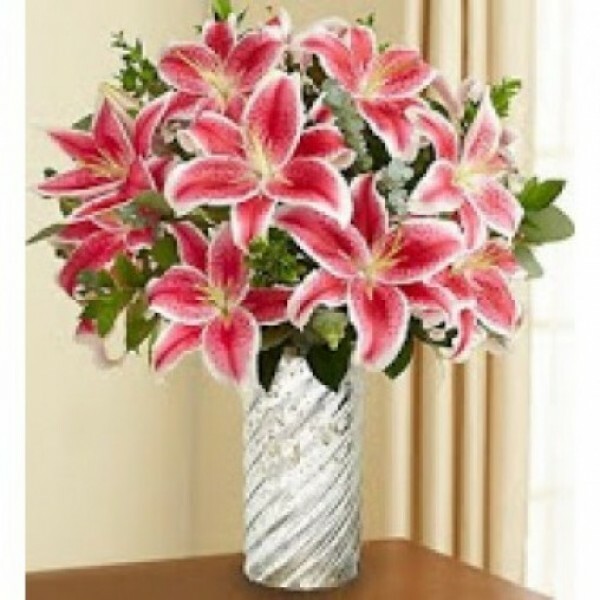 This graceful bunch of star-shaped 6 pink oriental lilies is beauty redefined. Send this gorgeous beauty to your near and dear one to send them your love and wishes. This surprise is surely to make them be stunned with its beauty.